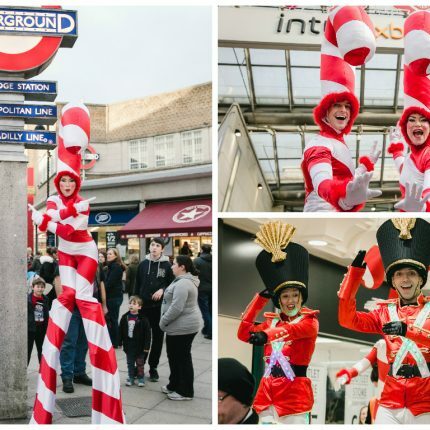 KruTalent were commissioned to provide Christmas themed roving entertainment for Uxbridge’s annual Christmas parade. 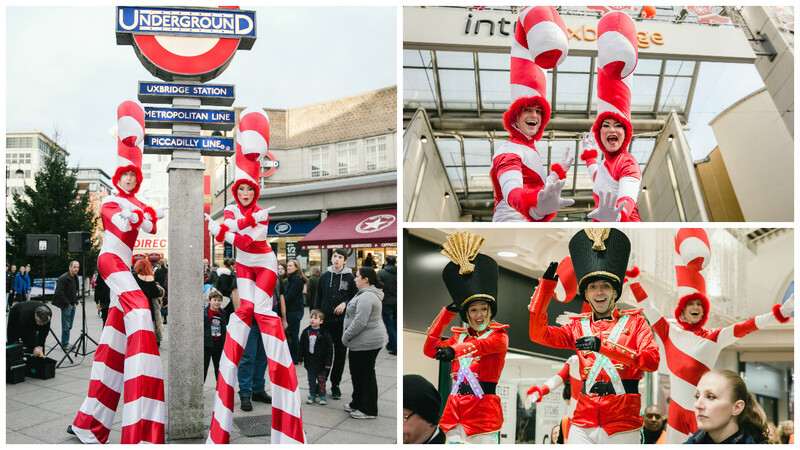 The troupe of performers were responsible for interacting with the public and delivering a great experience for all celebrators of this event. In keeping with the Christmas theme, KruTalent sourced 4 amazing stilt walkers 2 Candy Canes and 2 Toy Soldiers who performed in the Uxbridge Shopping centres and collaborated to lead the parade. Everyone was left smiling, singing and dancing.